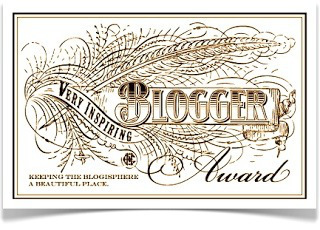 ← The Very Inspiring Blogger Award. How fun! So to complete my end of things, I’ve already told 7 things about myself in yesterday’s post. (scroll down if you’d like to see) Now I’m supposed to nominate other blogs. I’ll have to put some thought on that. Most of the places I go are information spots, not personal blogs I’ve drawn inspiration from. Though I generally don’t bookmark them (because my bookmark list is almost unnavigable), I do come across many author blogs and most of them are an inspiration just for the fact they’re clean-looking, visually appealing blogs. Does sharp-looking fall into that Very Inspiring category? I don’t know. But I can offer three author’s personal blogs that I think fit the category. One, I always learn things from, the second for her tireless hospitality in hosting authors, myself included. And the third for helping to promote fellow authors with her book cover blog. The first I mention here is author R. Ann Siracusa. I learn so many things on her blog, and I LOVE learning things. She writes detail-rich edgy thrillers that get your pulse up. And over on the RB4U website http://romancebooks4us.com we’re having a June Contest. I’ve taken the info off the site: JUNE WEDDINGS CONTEST! Contest runs 2 June – midnight ET 26 June. Three June blog hops ahead on the satellite blogs. Today over on my Ancillary Muse blog, I’m taking part in the Colors of the Rainbow Blog Hop.